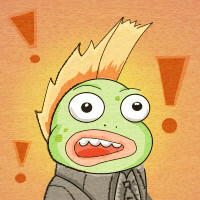 Space adventurer, we have a new report. Please present yourself at our news article for editor progress, steam and the facebook contest end. Signing off. Hi space adventurer, here we are with more editor progress(and bugs) and also something new, Questverse is on steam greenlight concepts, and it is actually going well, yay for us! I figured it was already time to show I exists to Steam, more specifically to its greenlight concepts area. 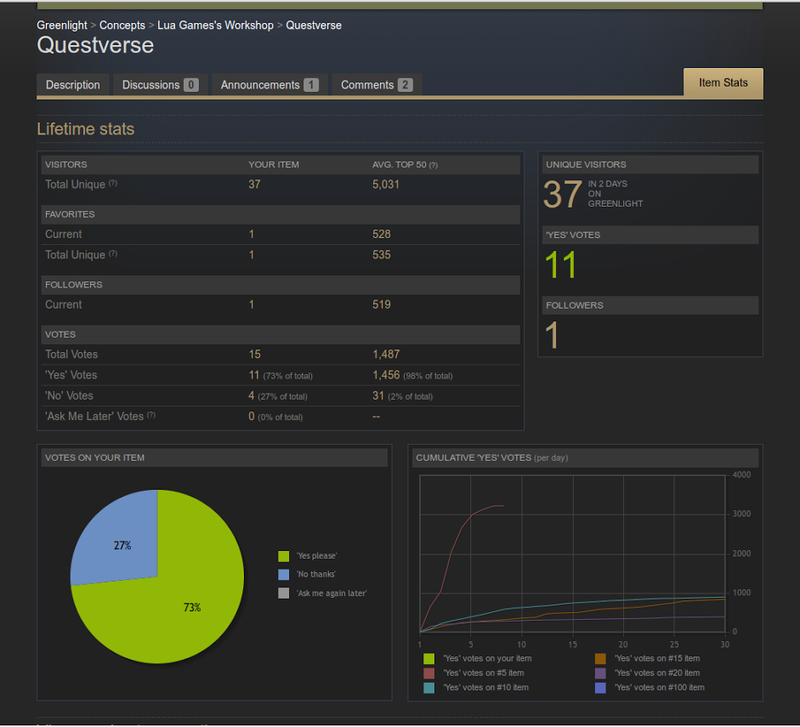 I always feared showing Questverse on steam because we all(steam players) know which it has a considerable number of nasty users, but not only that, Steam is a big name, I feared of showcasing something which could be considered inferior there; but seeing the good feedback Questverse received until now I decided to give it a try, even more now knowing there was this concept area specially made for in development projects. At first I made the mistake of setting Questverse as being Action, Adventure and RPG; that cost me some down votes; but as soon as I left it only as RPG things had been going pretty well, I didn't thought it would actually work right away. Currently we have 4 down votes and 9 up votes, that is pretty good on steam regarding percentages, as it is usual even for famous games to have a 40/60 proportion or for the others considered average 50/50. The down votes didn't bothered me because I learned they are just people saying "I wouldn't buy your game" which is fine, these votes are not considered by steam too, unless your proportion is 50/50 and even so not much; what steam looks for is up votes mainly. Greenlight concepts is not the real deal yet, but it already attract some attention to your project if you got, say, 3 to 5 stars, which can only be obtained when you got at least 100 votes more or less, so, if you have a steam account, vote up the game there would you kindly(Bioshock reference)?